Photographers capture moments that can be preserved through time. They use their cameras and different types of lenses to take photographs of subjects. They use a variety of angles and techniques to create magnificent works of art. Photography is usually considered as a hobby more than a job. Nevertheless, it is true that you can create money out of being a photographer. 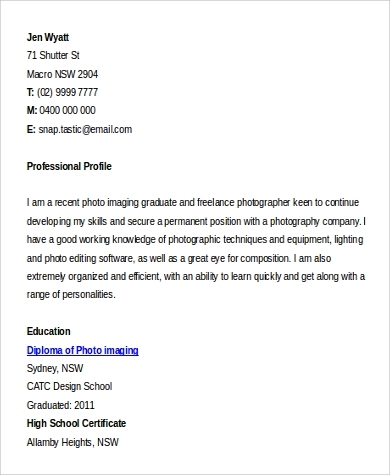 Yes, it may start as something that you are just interested at, but being able to practice and master the art of photography will help you create a client database that can provide money for the service that you can offer. 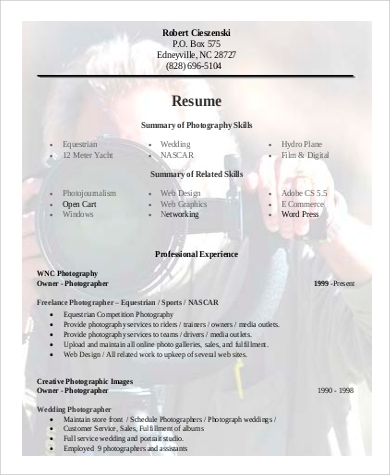 If you want to apply as a photographer or even just create a resume for a different job application, we have Sample Resumes ready for download. 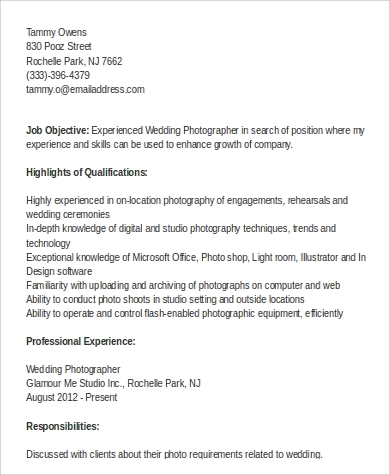 A photographer usually takes freelance jobs. But nowadays, there are already companies like catering services, events provider, and photography studios that need the services of a photographer on a daily basis. Photo editing or post processing for better final image results. 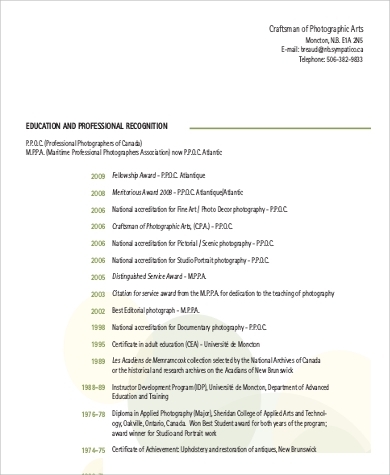 Being able to know all these things will help you start a career in the photography industry. 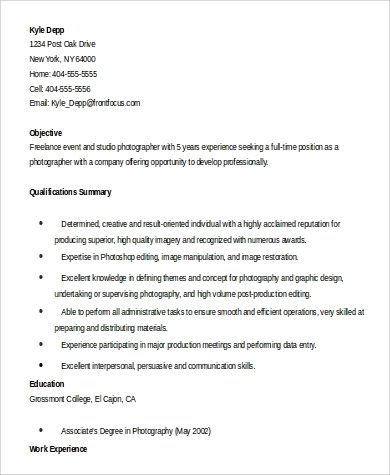 To help you win an application interview, we have samples of Photography Cover Letters that you can copy so you can attach it together with your resume and photography portfolio. 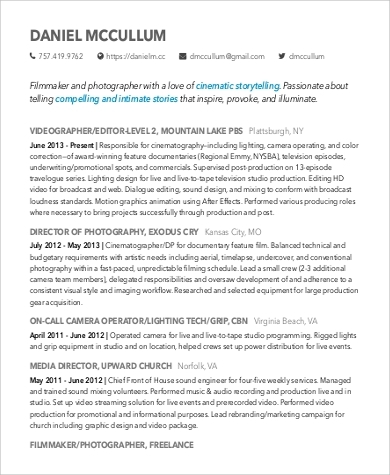 A good resume will help you achieve your dreams of being a photographer. 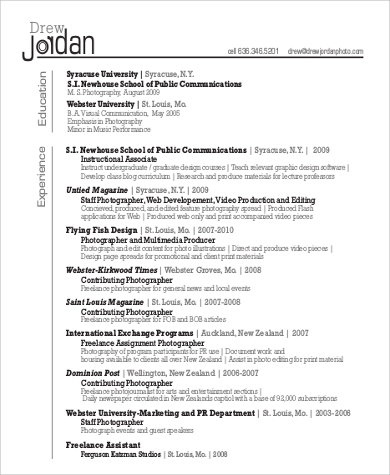 You may take a look at our Resume Samples should you be needing help for the creation of yours. Links of your online portfolio. 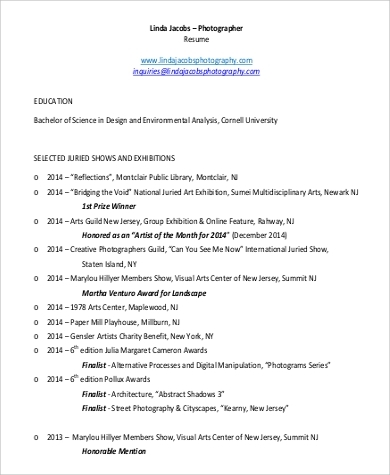 An online portfolio enables the client to see your past works. 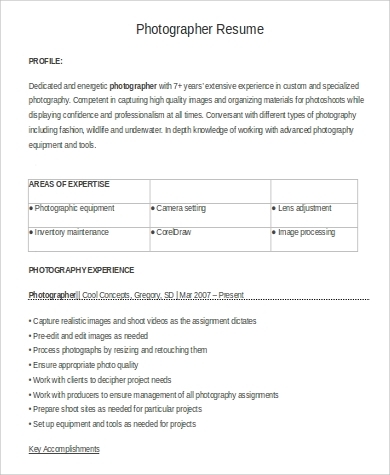 In the absence of an online portfolio, a few sample of your captures should be at the back part of your resume. Technical photography skills that you have. Photography awards that you have won. What can put you on a higher chance of getting hired than letting your prospective client know that you are one of the best in the industry that you are working for? Events that you have covered. 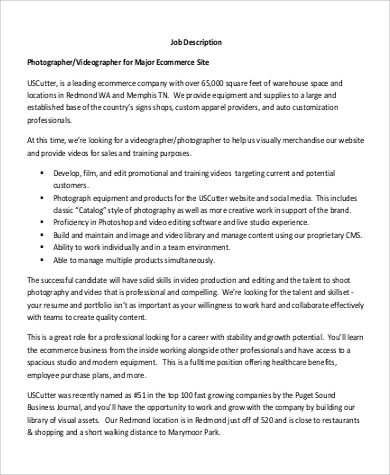 Whether you are just a starting photographer or someone who already has a vast experience in photography, the items listed in the article will surely help you book more clients and get more job offers.